A common misperception by many in society is that what helped one person with a certain symptom should help another. However, a symptom can be due to many different reasons. For instance, if someone has nausea, this could be because they are pregnant, ate contaminated food, cancer, just took a medication, saw something repulsive, indigestion, low blood pressure, and so on. That one symptom could be brief, intermittent, or long-term depending on the true nature or cause of the nausea. It can range because each human has different complexities or sensitivities to situations that are unique to him or her. Let’s say someone had nausea. Anti-nausea medicine could be given to most people for the symptom. However, if the nauseated person was experiencing a rapid drop in blood pressure from a procedure such as a spinal for labor pain, then treating the low blood pressure with fluids or medication makes more sense to address the cause versus treating the symptoms. 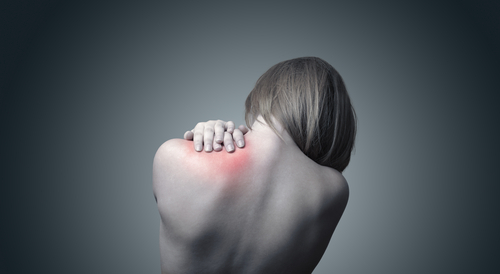 By just treating the symptom, the underlying cause would not be addressed and may require repeated symptom treatments. There are many reasons for low back pain which can lead to completely different strategies, especially when assessed by highly trained physical therapists or other biomechanical experts or assistants. In fact, sometimes low back pain, believe it or not, can be related to the pelvis or other surrounding structures. But many physicians may not be as aware of these interconnected issues, postural alignments, habits, etc. that could be leading to pain. Seeking a resolution to the pain without trying to understand “why” can lead to many unnecessary medications, injections, and surgeries. Being engaged in a conversation with a pain professional who seeks the real reason for your pain can allow you to have a more personalized strategy, which may not be the same for everyone. So next time a well-intentioned friend or family member says they have the same symptom, just consider that there may be a different cause. Pursue a pain professional who listens to your story, helps you understand the possibilities of why you have that pain, and can give you some direction, skills, or strategies to help you self-manage your pain well.